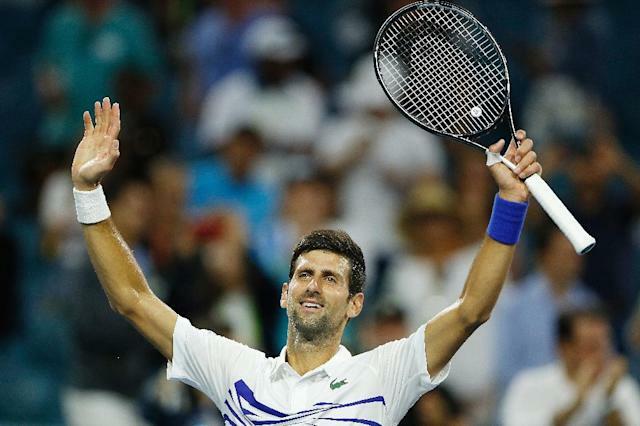 Miami (AFP) - Novak Djokovic remains on course for a record seventh Miami Open title, but the world number one admitted to a loss of focus in a 7-5, 4-6, 6-1 victory over spirited Federico Delbonis which booked his place in the last 16. The Serbian, though, wasn't happy with letting a 5-2 advantage slip in the first set and became furious with himself as the second squirmed from his grasp. "To be honest, I lost my focus," said Djokovic who smashed 36 winners compared to 24 from Delbonis. "I should have done better I think mentally than I have done at the end of the first two sets. "I managed to really play well last couple games of first set, go up a break, put myself in front, then I played a couple of really bad service games. Credit to Federico, he stepped in." "I think last four games were terrific, so I ended up in a positive way," Djokovic added. Defending champion John Isner blew Spain's Albert Ramos-Vinolas off court with serves touching 139 mph as the American sealed an ultimately comprehensive 7-5, 7-6 (8-6) win to set up an intriguing match with Kyle Edmund in the last 16 after the British number one impressively saw off Canadian Milos Raonic 6-4 6-4. Halep, 27, lost her place at the top of the rankings following Naomi Osaka's triumph at the Australian Open earlier this year. "It's always tough against Venus," said the current world number three, who has beaten the American in their previous three encounters. "I'm not going to say that it's going to be easier because I won the last matches against her. It's a big challenge for me." Seven-time Grand Slam champion Williams, meanwhile, swept past Russian Daria Kasatkina 6-3, 6-1. 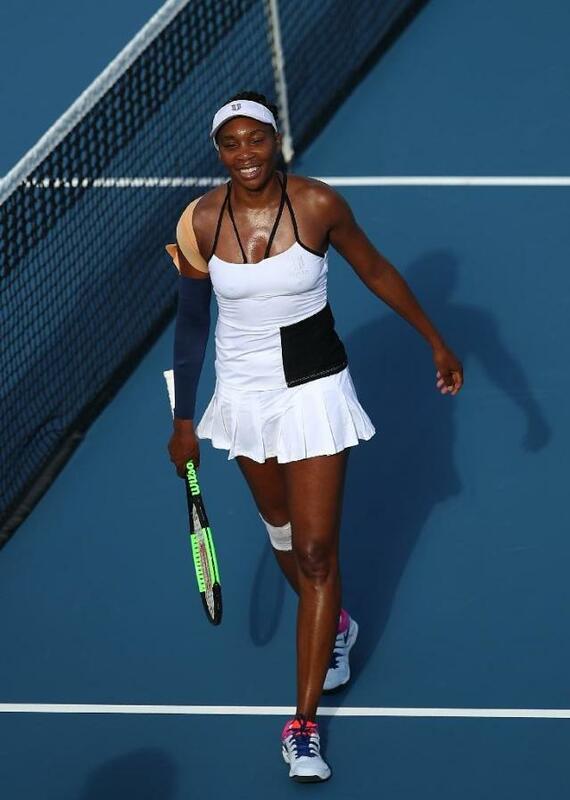 "Simona always plays flawless tennis against me, so I have to be ready for that," Williams said. Elsewhere in women's action, American Sloane Stephens's title defense ended in a 6-3, 6-2 loss to Germany's Tatjana Maria. It was another disappointing ending for Stephens, who fell in the third round at Indian Wells.